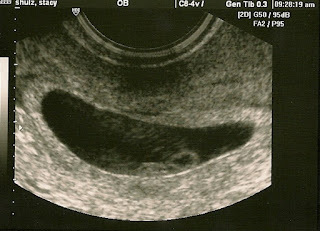 Most people say we are expecting, but not us. We know loss, and we know better than to say that we are expecting. To say we are expecting is to say that we know in the end that we will have a baby to bring home alive and healthy, but we don’t know that. All we know is that as of this moment in time, there is a little being growing inside of me and that this little one is due to be born on February 26, 2011. It's heartrate is 115 and length is about 6.3 mm which is right where it is supposed to be. 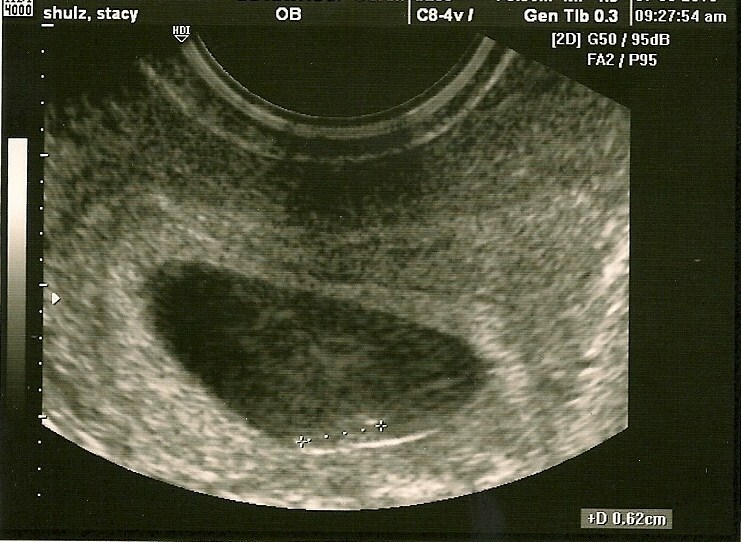 We are cautiously hopeful, that this precious little one will be born alive, healthy, and full term. Most people also wait until after the first trimester to let everyone know. They do this because after the first trimester you’re supposed to be home free, nothing can go wrong from that point. But it can, we know that. 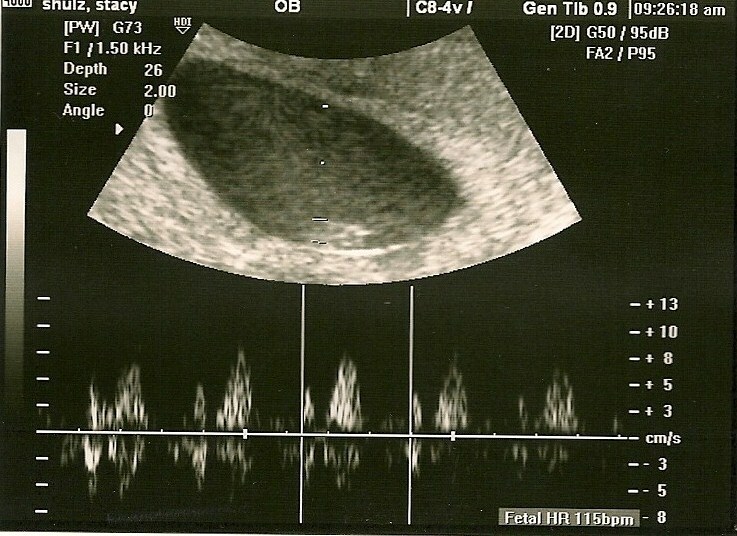 So we’re opening up now, to share our moments of joy with our family and friends for as long as possible, which we hope will be a full 40 weeks. But if it’s not, we’ve given those we love an extra six weeks to know and love our precious child. It is not all going to be joy though, there are going to be many times of anxiousness and worry for our little button. It is during those times that we will need support the most. A lot of you may wonder why we aren’t completely over the moon with joy and happiness all the time. We are, but we are also anxious. We will not rest easy until we bring our button home. We have decided that I will be moving back home to Oklahoma at the beginning of September so that I can have access to high risk doctors as well as be in a location that has a neonatal intensive care unit, just in case this little one is born a preemie and needs that extra care. As much as Charles and I love each other and want to be near each other we cannot afford to be selfish. This baby deserves the best possible chance at life, and we need to live with no regrets, and Oklahoma will fulfill both of those needs. The small blob on the left is our button, the blob on the right with a black center is it's yolk sac. Chuck and Stacy...we are hopeful too! I will be praying for a full term healthy baby that you can take home and pray peace over both of you as you go through this journey. Congratulations! Hang in there. Being pregnant after a loss brings a whole lot of new experiences. I can help you with some of those if you ever want to talk. It is hard to go through this again . The innocence is lost and that makes all the difference. Hang in there. Just remember that you aren't alone.